We Can Replace Most Dealership & Factory Keys As Well As Factory Remotes And Fobs. Starting at $19.99. Don't Pay Too Much At A Dealership. Call For Fast Service! 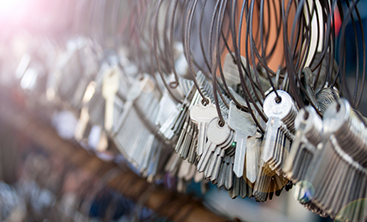 First and foremost, when you call a local locksmith, you want to be sure you are finding help you can trust. After all, each time you call a locksmith, you’re trusting your safety as well as your vehicle or home’s security to the company you call. Not only does the Destin Locksmithing team have decades of experience in a wide range of locksmith services, we ensure that we keep up on our licenses, insurance, and bonding so you can rest assured that we’re here to help you safely and quickly. Want to be sure? Our technicians will be happy to show you proof when they arrive to help you out. Making keys of all kinds – No more waiting hours and paying exorbitant rates at the dealership! Our mobile locksmiths can handle everything from duplicating sidewinder keys to repairing or replacing transponder key fobs. Re-keying locks – Just as with your home, sometimes you need to change a lock but you don’t want to replace it. We can re-key your locks without replacing them. Key extraction – Accidents happen. When a key breaks off in the lock, don’t panic; call our mobile locksmith team to get that broken key extracted and duplicated! Ensuring your locks are in good condition and installed appropriately is one of the best and easiest ways to protect your home and everything inside. 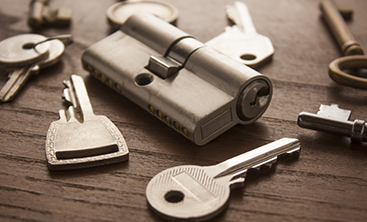 When you move into a new home, call our locksmithing team to get the locks re-keyed. This simple step prevents anyone with an old key from being able to simply unlock your door and walk in, and it doesn’t affect the hardware! We can also ensure that your deadbolts are installed appropriately or swap that standard deadbolt out for a keyless entry deadbolt. With keyless entry, you can ditch those house keys and enter a code you program in order to unlock the door. Bonus: you can change that code as often as you choose! Our locksmith technicians are knowledgeable in home security, so give us a call today to help improve your home’s security. Keeping your business secured is just as important as the security for your home. Everything from keyless entry systems to a properly working safe can have a big impact on your business’ security. Our team can help you re-key or install new locks to increase security measures. We can also install, open, and service safes so you can protect your assets. And, if you accidentally lock your keys inside, we can come and open the door for you, just as we would with your home or car. This isn’t a comprehensive list of services we provide. If it has to do with locks or keys, odds are good we have the knowledge and experience to help you out. 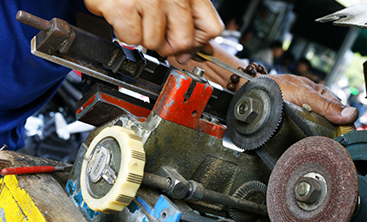 Contact our locksmithing team online with questions or to request a quote. If you need emergency locksmith services any time, day or night, don’t hesitate to give us a call! For locksmith services you can trust, call 850-307-5791 in the Destin area or 850-312-3240 in the Panama City Beach area. These are just a few of the brands that we offer. We offer several other different brands of home security camera systems and keyless door locks as well. Tell us what you are looking for and most likely we can get it for you. Just give us a call or email!